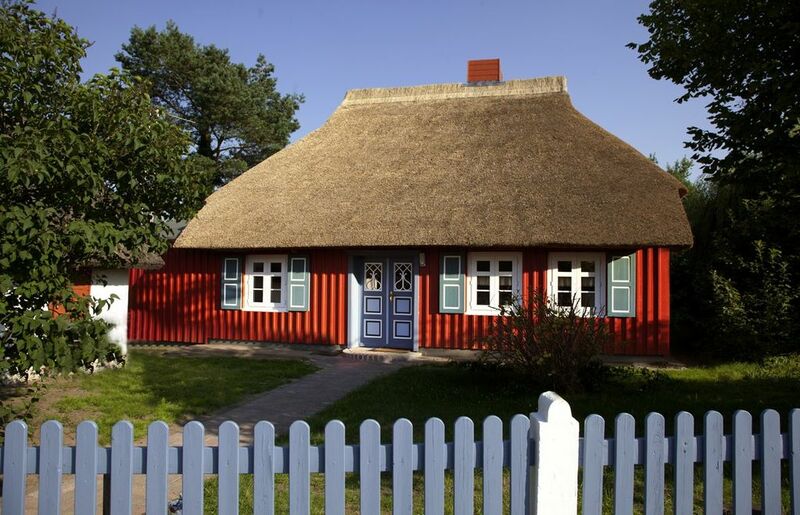 This 160 year old seaman’s house is located at the edge of the village of Born, near the Bodden (about 300 m). With its thatched roof and loam walls, it has a very natural feeling. The low ceilings (2.05 m – 2.15 m) and tiled stove make it very cozy indeed. It was renovated between 1995 and 1999, and is situated in a large garden. The village of Born is located at the edge of the Vorpommersche Boddenlandschaft national park and the Darß forest on the Fischland-Darß-Zingst peninsula, well away from mass tourism.